Johnathan Spencer has Niemann Pick Type C disease like Addi and Cassi. Every morning, Johnathan Spencer’s mother dissolves the contents of a pill containing an experimental drug into a cup of water, draws the solution into a syringe and squirts the foul tasting liquid into her 4-year-old son’s mouth. With little more than a wince, he swallows the medication, hops down from his stool and resumes playtime. “Look at him. Does it look like he has a terminal illness?” asked Patty Spencer as she watched her grandson blow bubbles with his cousin, Landon, in her backyard. The boys swatted at a few stray blue and black balloons and streamers, the remnants of Johnathan’s birthday party. Other than a couple inches, few differences separated the two. Johnathan tugged open the sliding glass door and poked his head into the living room. “Can we swing?” he asked his grandmother. Doctors at Lucile Packard Children’s Hospital recently diagnosed Johnathan with Niemann-Pick Type C, a genetic disease so rare there are only about 500 known cases worldwide. The disease attacks the body’s ability to properly metabolize cholesterol and other lipids within the cell, causing excessive amounts of cholesterol to accumulate within the liver and spleen and excessive amounts of other lipids – or fatty tissue – to accumulate in the brain. Sometimes referred to as “childhood Alzheimer’s” because it causes neurological impairment so severe it often renders children bedridden, Niemann-Pick Type C is always fatal, according to the National Niemann-Pick Disease Foundation. It typically claims its victims’ lives by the time they turn 20. The day Rebecca Merrill Spencer received the news that her son is one of about 150 people in the country with the disease is seared in her memory. “I swear I relive this phone call so many times a day,” she said. The geneticist that tested her son warned her not to look up Niemann-Pick – a disease doctors hoped to rule out after drawing a blank on the cause of Johnathan’s chronically enlarged liver and spleen, a mysterious condition he’s had since birth. “‘We’re 99 percent sure he doesn’t have it,’” Rebecca remembered the geneticist telling her. After the doctors ran the test, “I forgot all about it,” she said. “No you didn’t,” her sister, Kim, interrupted. By reading everything she can get her hands on, Kim is working to organize what little information is available about Niemann-Pick into a website telling Johnathan’s story. Sitting on Patty’s couch, the two sisters rehashed “the day we will never forget” – as they refer to March 9, 2010. The phone rang about 4 p.m. that day. As a blood technician who works nights, Rebecca was sleeping when her nephew woke her up to take the phone call. “‘Rebecca, it’s not good news,’” Rebecca remembered hearing over the line. 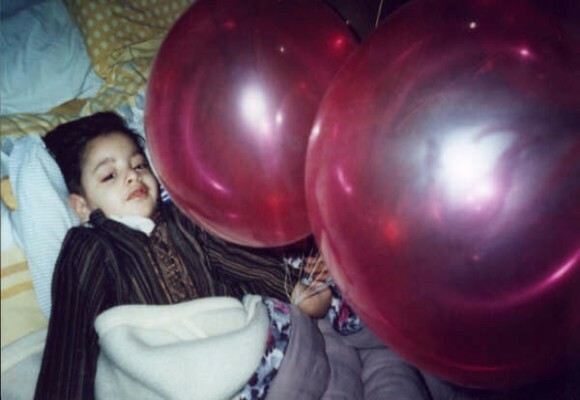 Other than the enlarged organs, Johnathan’s life returned to normal as the ailments that plagued his infancy faded into little more than a memory. When Rebecca started a new job at Dominican Hospital in Santa Cruz, her insurance bumped them over to doctors at Lucile Packard who took another stab at identifying the source of Johnathan’s swollen liver and spleen. Last July, Johnathan underwent a liver biopsy and the geneticist who later informed Rebecca of her son’s disease pushed to run that one final test. “Looking back, everything makes sense now,” Rebecca said. Not able to sit still for long after receiving the diagnosis, Rebecca started making phone calls and landed an appointment at the National Institute of Health in Bethesda, Md. One week later, she, Keith and their son were on a plane. “Johnathan’s blood is like gold,” Kim said, explaining how her nephew’s case is so unique because of how early doctors detected it – before he started showing neurological symptoms. Keith and Rebecca aren’t sure their son will live to see his 15th birthday. Despite the uncertainly and $2,000 in weekly expenditures for Jonathan’s medication, Johnathan’s family is hoping he’ll lead as normal a life as possible. They catch themselves sometimes from searching for symptoms or mistaking his typical childhood clumsiness for the disease. Rebecca held back tears when her son told her about how he wants to become a pilot when he grows up. “All he knows is that he’s got an owie in his tummy,” Rebecca said. “Well, he knows something serious is going on,” Kim added. “Because Mommy cries all the time,” Rebecca said, finishing her sister’s sentence. An outpouring of support from the community and talking to other parents of children with Niemann-Pick helps Johnathan’s parents move forward. The two are divorced but remain best friends and lean on each other in times of need. Family members have dedicated themselves to raising money to put toward research and, one day, hopefully finding a cure. I am Green Beans and Ensure! I am laughter until my belly hurts. I am strong, plus I have muscles. I am Illinois and Iowa. I am a brother with many parents. I am a sports fan. I am dogs and cats, horses and cows fan. I am green beans and Ensure. I am Happy Joe’s on a Friday night. I am one/fifth of a tribe. I am a guiding light. I am a force to be reckoned with. I am finding my place. I am independent. I am a handholder. I am OT. I am PT. I am one hospital stay away from owning my own wing. I am evolving, becoming. 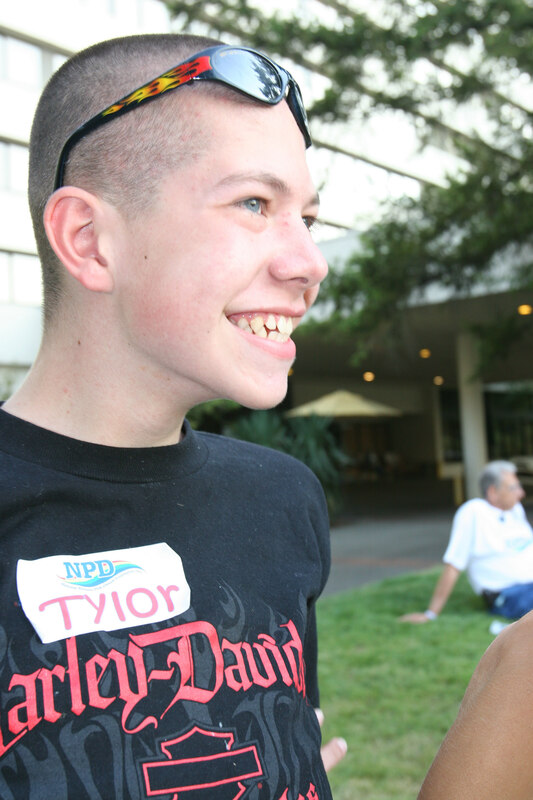 I am Niemann-Pick Type C.
Tylor Richardson is a teenager suffering from Niemann-Pick Type C (NPC) disease, a fatal and relentlessly progressive neurological condition that results from the inability to process cholesterol at the cellular level. There are approximately 500 children in the world living with this rare disease that causes dementia yet research into the NPC cholesterol gene could lead to discoveries that could help millions. Five families with children suffering from Niemann Pick Type C disease have posted their touching videos on the Extraordinary Measures Movie’s Inspirational Quilt. They are running a contest on the movie’s website and the winner of the video contest will win $10,000 to be donated the charity/foundation of choice. The chances of winning increases with the number of votes the family receives. The Hadley’s and Hempel’s have also posted our videos — please vote for all videos and we all will be entered into a larger pool to win the $10k prize. I really love the words to the song written for Elise Marie Barton, a little girl who suffers from Niemann Pick Type C disease like Addi and Cassi. You can watch the video here – http://extraordinarymeasuresthemovie.com/?videoId=201 – and vote to help all NPC kids. There is a brave little boy in India who is going to make history this week. His name is Aaditya (ah-dah-tee-ah) and right now this little boy is at BGS Global Hospital in Bangalore, India, being prepped for one of the first intracranial stem cell transplants ever conducted on children. The procedure was approved by the Indian government a few weeks ago and is being conducted by some of the top neurosurgeons in India. For those of you who unfamiliar with stem cells transplants (which wouldn’t be surprising as this kind of treatment is not even available in the United States), intracranially means that the stem cell Aaditya will receive will be put directly through his skull, into his brain and past the blood brain barrier. Most stem cells injections people get in China or Mexico go through the neck/vertebra or through IV infusions. Aaditya is afflicted with a rare and fatal childhood disease called Niemann-Pick Type C (NPC). Frequently referred to as "Childhood Alzheimer’s," Niemann Pick Type C is a genetic lipid (cholesterol) storage disease that causes progressive neurodegeneration of the brain just like Alzheimers, Parkinson’s or ALS does to adults. Only 500 children worldwide have this horrible condition, including my identical twins daughters, Addi and Cassi. Without this procedure, Aaditya is likely to die as there is no approved treatment for NPC. In 2005, a similar procedure made international headlines when the FDA approved six children with Batten disease to receive intracranial neural stem cells in the United States. The results from this procedure still has not been released by StemCells Inc. of Palo Alto, California. Why, I don’t know, but my guess is that these neural derived stem cells were not a huge success. Unlike the children with Batten disease, Aaditya is going to receive a different type of stem cell – mesenchymal stem cells derived from human bone marrow (not embryos). The good news is that all stem cells are not alike so there is a chance these stem cells could transdifferentiate and turn into brain neurons. While this procedure is considered a long shot and radical, there is a glimmer of hope that mesenchymal stem cells could restore function to Aaditya. Currently, most of the hair on Aaditya’s head has been removed as he prepares for surgery. Two three inch incisions will be made on the top of Aaditya’s skull and he will receive a stereotactic implantation of stem cells into eight bilateral symmetric points in his brain. His amazing mother Tasneem and aunt Duriya say they are at peace and that, "He who has brought Aaditya so low will take him so high." This family’s faith is inspiring to say the least and they are asking the world to send them prayers for a successful surgery. 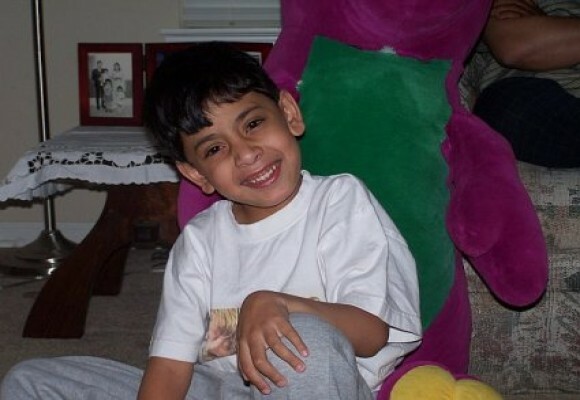 Aaditya’s surgery is scheduled for Thursday, December 18th,2008, from 9:30pm-12:30pm (if his current fever stops). You can leave a wish here for Aaditya or you can reach the family at Hope For Aaditya. I am not a very interesting person…and as of now only a brokenhearted one. I had a very nice childhood, a loving family and fun loving friends, got what I wanted, studied what I wanted or where I wanted. I was taught never to do anything bad with others, only to help the less privileged ones. I was a top student, had many distinctions during my academic career and somehow or the other became the first on camera female reporter of the state run news television in Pakistan. I was the youngest one in the media circles to have worked with the decision makers at the highest corridors of power and traveled with my country’s President and the head of the Government, the PM to their visits abroad. During my international traveling, I met with the world leaders, was praised for my work for being the one who would not compromise on any news story for political expediency and yet was surviving well. Whenever I used to go out with my family – people would recognize me and ask for my autograph. But that was not what was the best thing that happened to me…it was Hisan….. who although lost his father very early in his life was a wonderful and delightful child. Being a single mother, I thought I would give Hisan the best of everything so that no one would think that he did not get what he desired since he had no father. I wanted so much to give Hisan and education abroad as I had to miss my scholarship when I got married. I guess it’s the same unfinished agenda on my life that I wanted so much for have Hisan have. I believe every parent looks towards his or her child in terms of their unfulfilled aspirations. I had many offers in my hand but I regretted to all as I wanted Hisan to be near to me. I left the most coveted beat and resigned from my media position when I thought I was missing Hisan on the way. People thought that I was crazy for doing that…..a professional suicide. As for me, I never once regretted my decision. You see it is not me who is important in this picture..it is Hisan…the ‘miracle boy’ who had left the most experienced and seasoned doctors in awe owing to his resilience and bravery to fight back this pathetic Niemann Pick Type C disease. Once in a code blue situation, Hisan came back after 45 minutes of CPR, all soaked in a pool of his own blood…and went home to spend some very memorable time with his family. Hisan was the favorite of all…..be it doctors, nurses, therapists…he would have the pricks done on him without crying…would keep quiet even in extreme pain and his eyes would always exude compassion…tolerance and a certain peacefulness that would put me to shame. When everyone had lost hope Hisan would fight back and lead the doctors to think otherwise. His fighting spirit would prove everyone wrong. I would become the proud Mom of a very special child. He would never let me down..never..and it became an altogether different story that my heart would cut in shreds upon every needle that was poked in him. Never mind missing Stanford. One after another he lost everything except his beautiful eyes that would tell everything to his Mom and his beautiful spirit. He died so peacefully. So becoming of him. I cry for him each time and I mourn him. My world is not only blank, it is meaningless as I have lost the will to live anymore. The only thing matters to me is the long drawn wait that I have to go through to meet him some time when he is happy and without the monster. You ask for my religion? For me it is probably not a bad bargain after all to give him back soon and then to have him forever…that’s my belief as a human being and as a Muslim too.